With the increasing pressure and awareness of the environmental concerns that effect our planet it has never been so important to make informed and responsible buying decisions. Here at Mulberry Bush we try our best to be mindful of our impact on the environment. We use recycled packaging and implement the three R’s wherever we can, Reduce, Reuse and Recycle! Most importantly however is our pride in the products we sell. We focus on traditional, well made toys that we hope will be enjoyed by generations of children. With the majority of our toys being made from wood we feel this is a good opportunity to discuss the benefits of wooden toys for both children and the planet we live on. With their bright painted exteriors and natural charm, wooden toys have never been so appealing and offer the perfect alternative to plastic. Children often love the simplicity of the designs and opportunity for imagination led play. They are intended to be enjoyed by generations with the same toy being loved by many and becoming a much cherished family heirloom over time. 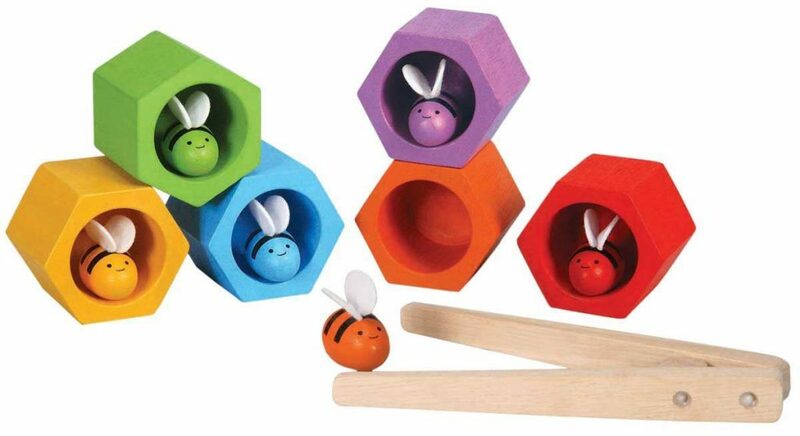 Designed to be hard wearing these toys are made from a variety of sustainable woods. One of the many benefits of wooden toys are the simplistic designs. They may not be flashy with attachments and gadgets, but they don’t need to be. As tangible objects their only real limitation is where your imagination will take you. Unlike plastics which are most commonly made out of petro chemicals and damaging to the environment, our wooden toys are natural products. Trees can be grown sustainably, relatively quickly and have the added benefit of removing carbon dioxide from the atmosphere. Once harvested, the wood is then crafted and decorated to become the familiar toys we all know and love. If and when a toy comes to being thrown away, many may find their way into landfill sites. In just a few years, wooden toys will naturally break down when exposed to the elements, even providing homes for insects such as bugs, beetles and worms. 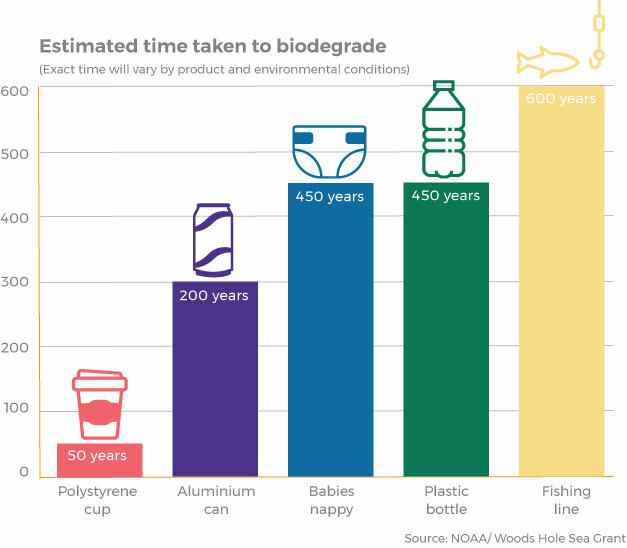 Plastics however will not break down in this way and it is estimated that a single plastic bottle can take over 400 years to biodegrade (see table below for more info). Obviously plastic does have many advantages being strong, easily cleaned and light, however with public awareness around the issues of its disposal increasing, it is clear that the environmental impact of this is something we should all be taking responsibility for. As we move into a time of increasing pressure on our natural resources, we hope that we can continue to meet with the growing need for safe and responsible toys. We will continue to recycle where we can and focus on products that are well made and designed to last. Afterall, the best gift you can give to future generations is the longevity of our planet…and toys obviously, but as we have discussed by choosing wooden toys, this can now mean the same thing.